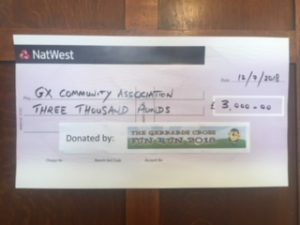 GXCA would like to thank the GX Fun Run for their generous donation of £3000 to the centre. This was a very welcomed surprise. We are always pleased to help and support other organisations within the community where we can.